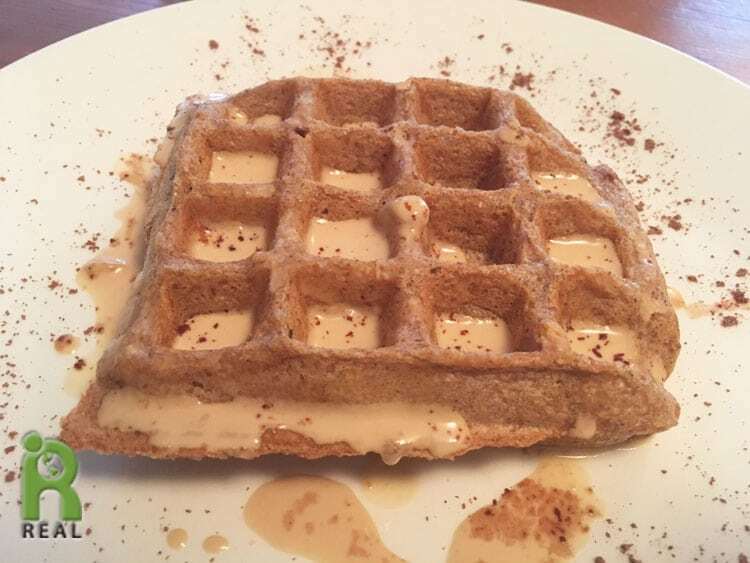 Breakfast: We’ve gone a few weeks without our favorite Light And Crispy Oat Waffles. I made some. I put Peanut Butter Cream on mine (peanut butter thinned to a cream with water) and dusted it with Cocoa Power. 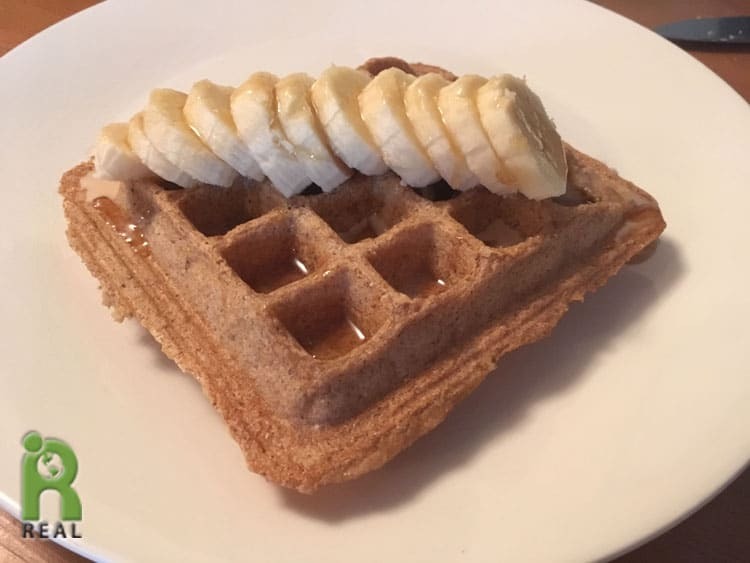 Gary topped his with a Banana and Maple Syrup. I told Gary I wanted Mac And Cheese and he made it! He makes the best. And you can too – here’s the recipe. I asked him to make it because the dish is in the news a lot lately. 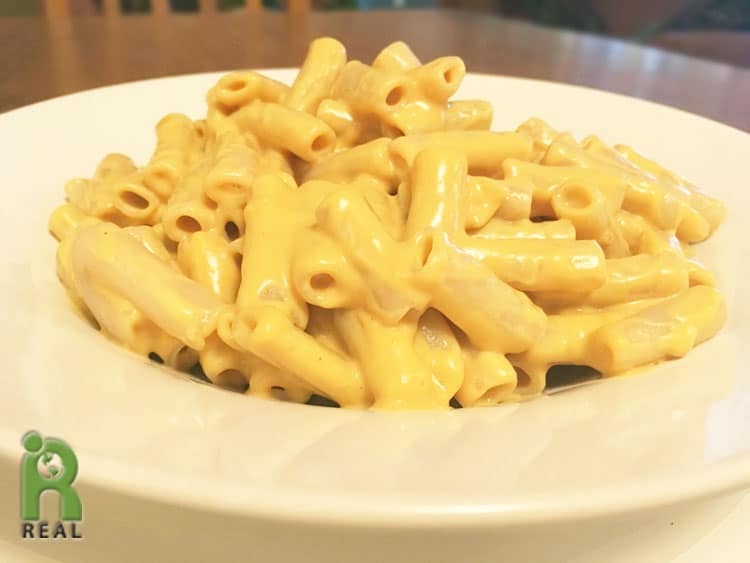 Read about Phthalates in your Mac And Cheese. Dinner: After a rich lunch of Mac N Cheese, we went for simple Split Pea Soup and a Kale Salad. ← Thank you What the Health!